Stay active this season by encouraging your BRFs to join you for one of these three festive group runs. Deborah Brooks with runners from her Moms Run This Town chapter. This time of year is all about having fun with friends, family and, of course, your BRFs (best running friends). 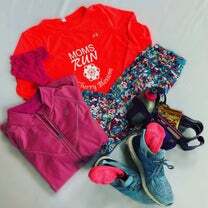 Those in the Moms Run This Town chapter I founded love to find excuses to blend our shared passion for running with social events. During the holidays, it’s more important than ever to find ways to reduce stress and maintain fitness. Here are a few of our favorite holiday run ideas that are easy to organize just about anywhere. 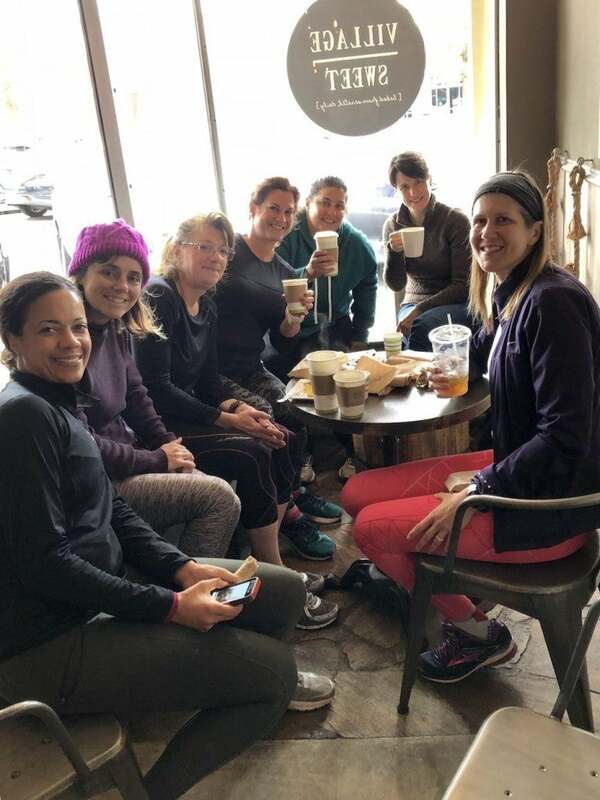 Plan your group run to start and end at a coffee shop. Everyone runs their prospective paces and distances, and they all warm up with coffee or hot chocolate at the end. This allows people of different paces to run together and socialize either during the run or after it’s over. My group has also planned hot chocolate pit stops mid-run on super cold days (just to keep our energy up, of course). Although not advised on a daily basis, many runners love to enjoy some treats to celebrate their logged miles. Set up a group run that finishes at a treat or donut shop. You will be surprised by how many of your friends want to join in. Running at night? It’s always fun to check out your neighbors’ holiday light displays. Run through your own neighborhood or head to a new town and explore. Have any other fun holiday run ideas? Share them with us on Twitter @WomensRunning or tag #TeamWR in the holiday run photos you post on Instagram!